The GW women's crew team participated in the 34th annual Head of the Potomac regatta Sunday, hosted by the Potomac Boat Club. The course crosses through the Georgetown waterfront and along the Virigina coast before finishing just above Roosevelt Bridge. 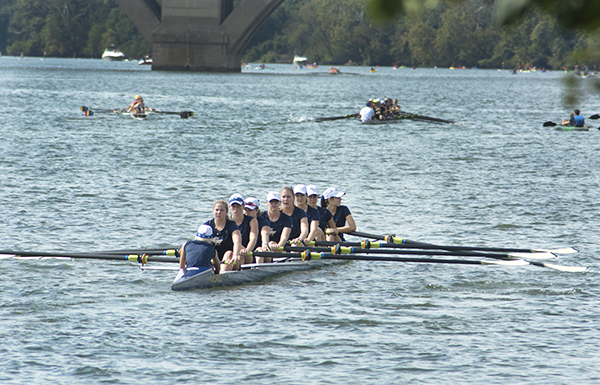 The GW women’s crew team participated in the 34th annual Head of the Potomac regatta Sunday, hosted by the Potomac Boat Club. The course crosses through the Georgetown waterfront and along the Virigina coast before finishing just above Roosevelt Bridge.